I was saddened to hear this morning of the passing away of Siri Gunasinghe, the expatriate Sri Lankan scholar of distinction who was also a poet, novelist, artist, designer of theatre costumes, and film maker. Trained as a scholar of Sanskrit, he gradually moved in the direction of art and art history, on which he has published widely in English, French and Sinhala. 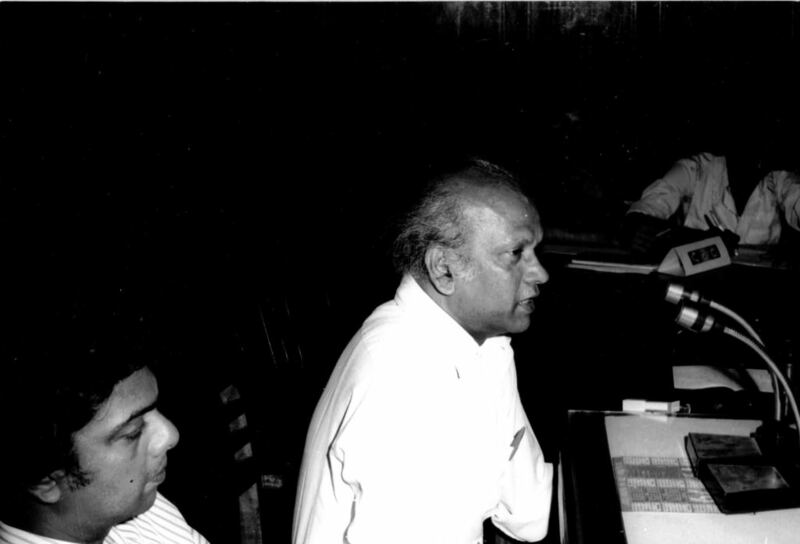 Siri Gunasinghe was one of the most prominent leaders of the cultural renaissance that took place in mid twentieth century centered in the Peradeniya University at the height of its glory. Its foundations were laid by the intellectuals of all ethnic groups of Sri Lanka, then Ceylon, who had a vision of a complex and cosmopolitan cultural identity, that contrasted with the narrowly ethno-religious Sinhala Buddhist identity that reached political empowerment in 1956. The cosmopolitan and inclusivist Ceylonese identity that would have led the nation to happiness and prosperity was made possible by the bilingualism of an intellectual and aesthetic elite, that nevertheless was far more in touch with the island’s indigenous-ness, than was the narrowly ethno religious Sinhala Buddhist identity. Siri Gunasinghe epitomized that complex and cosmopolitan identity founded by such figures as Ananda Coomaraswamy, and colorfully manifest in the artists of the ’43 Group. Unfortunately for the nation, it was the narrowly ethno-religious identity that triumphed, and it was clear that such an identity could lead only to social disharmony, economic ruin and cultural malnourishment. Among manifestations of despair at this turn of events was a flight of the intellectuals that became quite apparent starting about the time when the ethno-religious agenda of the 1956 government was gradually being put into effect. The loss that Peradeniya suffered in this became the gain of different universities across the globe, including such renowned centers of learning like Cambridge, Harvard, Chicago and Princeton. Siri Gunasinghe’s leaving Peradeniya to take up a position in Art History at Victoria, British Columbia, was part of that exodus. Siri was an adoring husband, father and grandfather. He loved the company of friends, and will be remembered by friends and others who knew him for his great warmth, compassion, generosity and kindness.